Only 1 left in stock (blue). 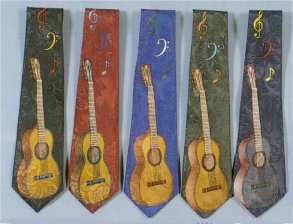 The Perfect tie for the Classical Guitarist! Please Select your color at Shopping Cart. Color selections are black, maroon, blue, green and purple. Made of polyester fabric.